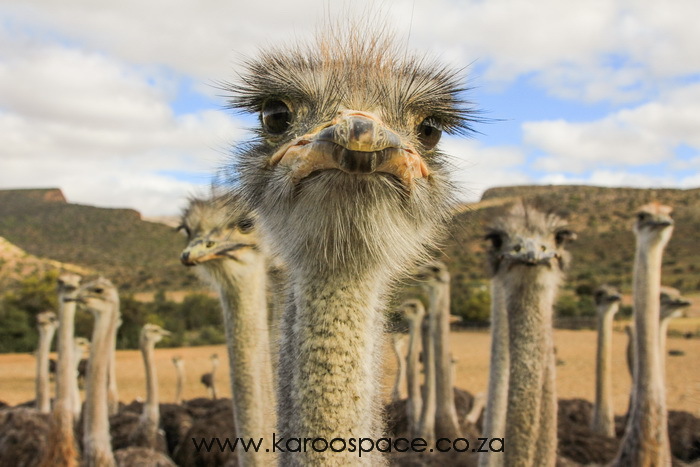 If you look just right, focus hard enough and deploy a sense of humour, you will see something wondrous in just about every corner of the Karoo. Take our hometown of Cradock in the Eastern Cape, for instance. 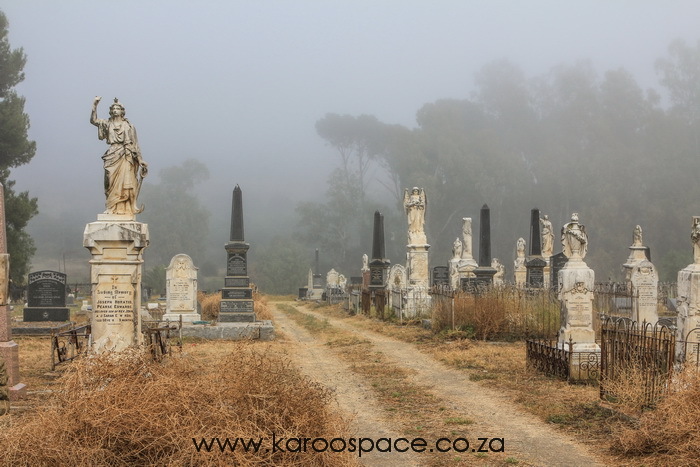 A walk through the local cemetery on a misty morning will reveal the gravestones of an Anglo-Boer War general, a Polar explorer, the one-time official National Astronomer, someone who was buried with the help of the Cradock Teetotal Society, 70 British soldiers, a bunch of nuns and, believe it or not, one Harry Potter. 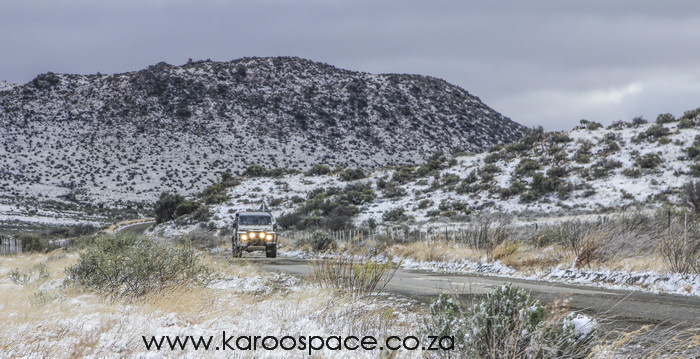 Come to the Karoo Heartland in the dead of winter and find yourself in a world of snow. You’d better bring those gumboots, thick gloves, monster coats, mohair socks and beanies and prepare for a world of amazement. As you drive out into the cotton wool countryside, the sun emerges and the light sparkles. There are heavy snowdrifts on bossies, fence posts, prickly pear fields, windpumps and acacia trees. The incredible hills that surround you look like icing sugar outcrops. Some say donkeys are dumb. In fact, they are thoughtful, sensitive and handsome beasts with a highly developed sense of survival. And very loud in their braying – so not so very dumb. 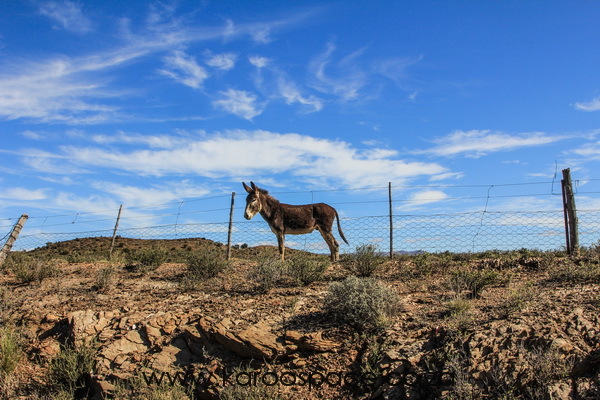 Karoo donkey owners will tell you they’re obstinate, bloody-minded, calculating – and a whole lot cheaper to run in the high-tech 21st century than diesel bakkies. In fact, small town leather crafters have reported a rise in donkey harness orders. It seems people have finally cottoned on to donkey power down on the farm. Every year at Carnival time, the samba dancers of Rio de Janeiro dress up in nearly 15 tons of ostrich feathers freshly imported from the Little Karoo. Ostrich feathers have an altogether modern use as well. They’ve long been standard-issue as feather dusters, but now the electronics industry has also discovered that they attract dust without discharging static electricity – a very useful talent. Still, the ostrich feather market has never returned to that legendary plume boom that peaked in 1913, when 100 000 tons of feathers were exported from South African harbours. Ounce for ounce, they were more precious than gold. A single perfect plume was enough to pay for a sea voyage from Cape Town to London, and many mansions were built in the Little Karoo from the proceeds of the feather boom. 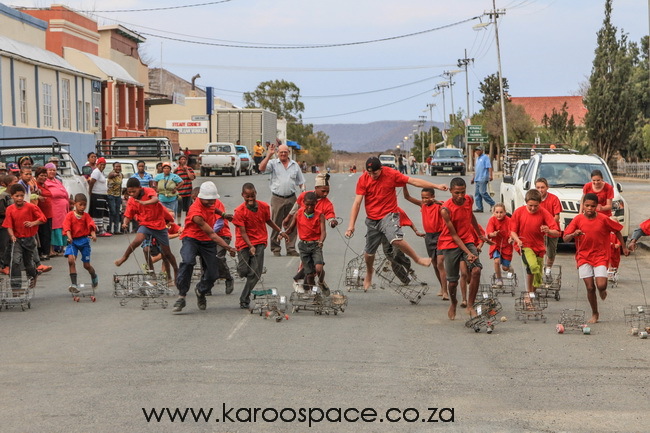 When summer comes around to Philipstown in the Northern Cape, the village wire crafters and an elite group of designated ‘drivers’ get to strut their stuff in the annual Philipstown Wire Car Grand Prix. Designed as a community-building exercise, the racers run a fixed route through the dusty town, ending up just outside the local filling station. Category winners get cash, everyone gets vetkoek and mince and frozen ice lollies while a local duo tunes up and dishes out a healthy dose of country music. There’s even a Miss Draadkarretjie (Wire Car) title on offer. To mark the end of winter, the little Northern Cape town of Williston further westwards stages an annual festival that celebrates the Nama Riel. 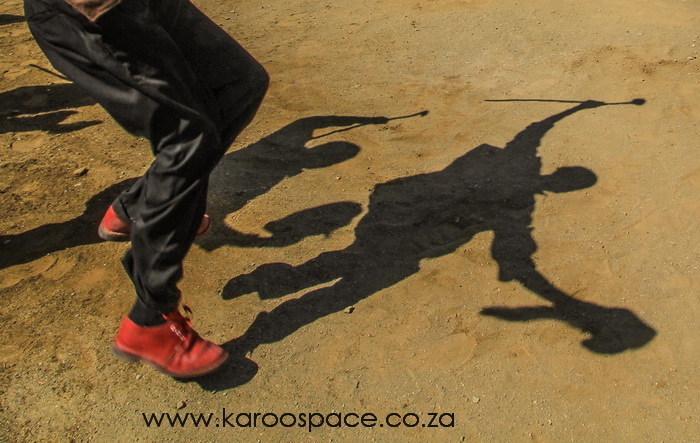 It is an age-old folk dance that celebrates not only courtship but also day-to-day Karoo life: the building of corbelled houses, the rhythm of trains, the habits of animals like baboons, meerkats and the way birds drag their wings when courting. The Williston Winter Festival, which had small beginnings back in 2010, has now grown into one of South Africa’s most significant cultural events. And everyone is welcome. As you pass the Kalahari town of Kenhardt, you could be forgiven for thinking there were goblins, ghosts and dwarves roaming the ridges. Less than 8km outside town are hundreds – perhaps thousands – of these shallow-rooted, photogenic plants. In the late afternoon and early morning, they are golden sculptures of fantastical shapes on dark dolerite hills. Go there with a camera at the bookends of the day, and you’ll experience a stillness that is quite spiritual. In the silence, marked only by the crunch of gravel beneath your feet and the buzz of bees (mostly in late winter months), you’ll start to wonder what animals, what travellers, have rested in the shade of these aloes. The biggest ones are many decades old. 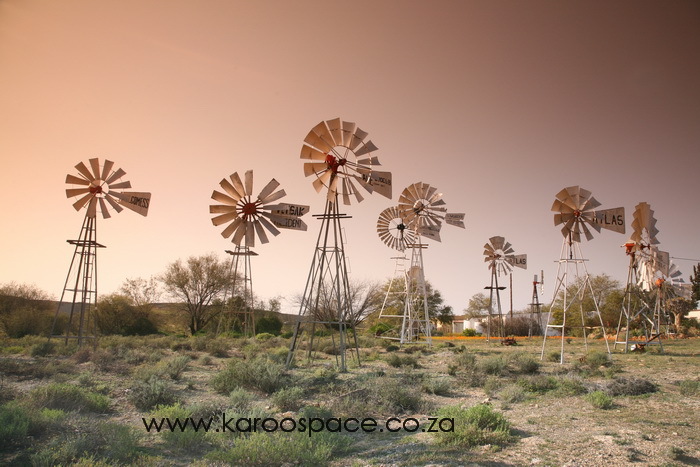 Loeriesfontein, just north of Nieuwoudtville in Namaqualand, boasts one of only two windpump museums in the world – the other one resides in the USA. They stand like massed sentinels at the Fred Turner Museum, mostly retired now but once very capable of drawing sweet Karoo water from the bowels of the dry country. 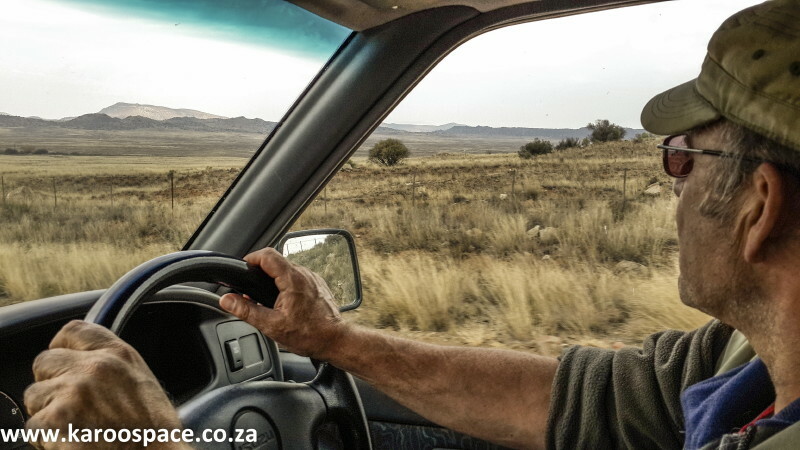 You’d think nothing happens along the dusty, devilishly-straigh R355 between Ceres and Calvinia in the far-western Karoo. You’d be wrong. 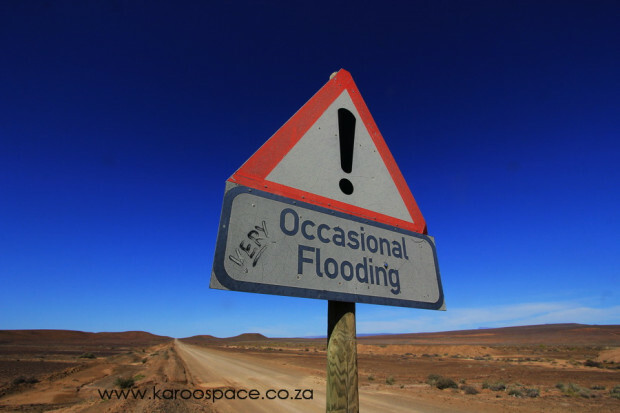 This is where Karoo road trippers come to earn their stripes, perhaps first visiting the AfrikaBurn event in late summer, then stopping off at the legendary Tanka Padstal, often having to replace torn tyres en route and then heading north into the Pan Country around Brandvlei. 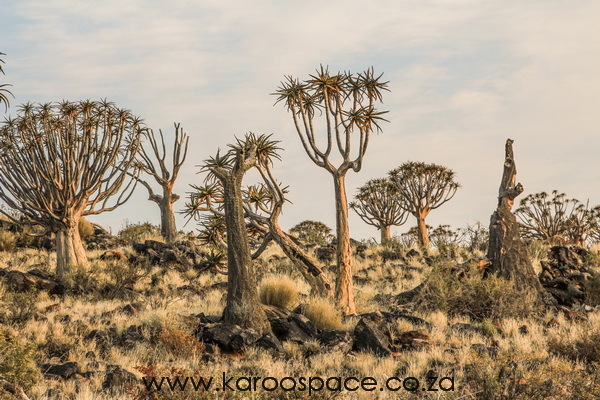 Find out more about the wonders of the Karoo. 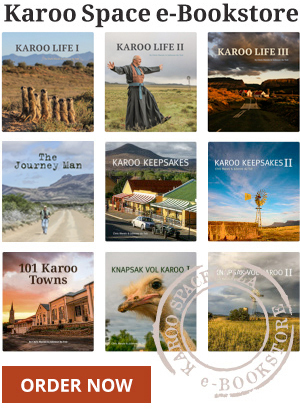 Visit the Karoo Space Print Book store HERE and the Ebook Store HERE. There was no access to the Quiver Trees in May 2018. Two weeks ago I was informed by residents from Kenhardt that the owner of the land is no longer prepared to accept all the rubbish/pollution left behind by visitors and as a result has shut his gates to general public access. Thanks for letting us know. What a pity!